TOPSHAM — Less than a year after Central Maine Healthcare shut down its urgent care center in Auburn, the health system is opening one in Topsham. Largely housed in the former Best Buy on Topsham Fair Mall Road, the 44,000-square-foot facility will include not only Central Maine Healthcare’s urgent care, but also a cancer treatment center from New England Cancer Specialists, an imaging center from Shields Health Care Group, a lab from CMHC and a specialty clinic space where patients can see CMHC specialists and use “telemedicine” to get help from doctors at Massachusetts General Hospital. It will be called the Topsham Care Center. The Lewiston-based health care group plans to open more such centers — after-hours care coupled with a lab, radiology and some kind of specialty care — in other places in Maine in years to come. Brickman said it only makes sense, considering health care is trending away from hospitals and toward outpatient care. The building’s owner is paying the $15 million to $20 million cost to gut and redesign the old Best Buy an its next-door neighbor, Sun Tan City. CMHC, Shields and New England Cancer Specialists have each signed a 20-year lease. Brickman said CMHC will pay “a couple hundred thousand dollars a year” for its spaces. New England Cancer Specialists currently has offices in Brunswick, Kennebunk and Scarborough. Its southern Maine offices will remain, but the Brunswick office will close and those patients will move to the new space in Topsham at the end of May. “We expect with the location of this facility that we’ll be able to draw from a wider geographic area. Having it located on the interstate will allow patients, if they choose, to even come from the Augusta area,” Executive Director Steve D’Amato said. Massachusetts-based Shields Health Care Group currently has two locations in Maine: CMHC’s Central Maine Medical Center in Lewiston and York Hospital. Those will remain. 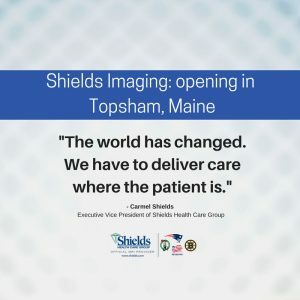 Shields will open its Topsham office in July. 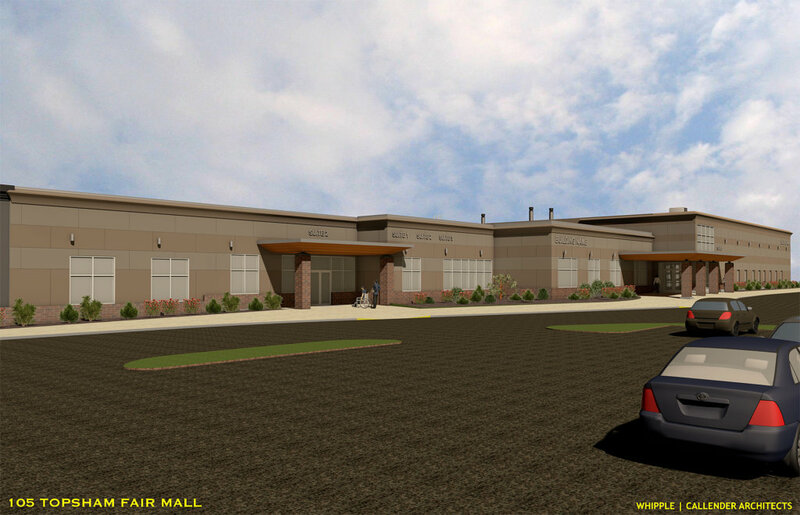 CMHC will open its specialty care and lab spaces in July and its urgent care center in August. New England Cancer Specialists became CMHC’s partner on the project about a year ago. Shields came soon after. The former Best Buy was chosen largely for its location: easily accessible for local patients, close to the highway for people from farther away, with space to expand if necessary. The partners also liked the fact it was in Topsham, where CMHC and New England Cancer Specialists already have patients. “We wanted to stay and hold onto our historical patient base and then double down on it,” Brickman said. 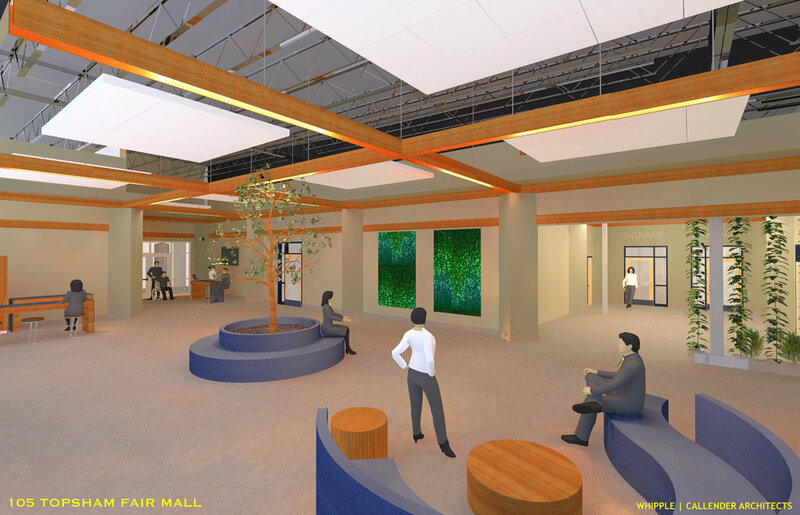 While urgent care will be accessible only from an outside door, the other spaces will be centered on a shared lobby. New England Cancer Specialists will take up about 15,000 square feet. It will include a reception area with a fireplace, treatment space for chemotherapy and infusions, pharmacy, lab and a garden. 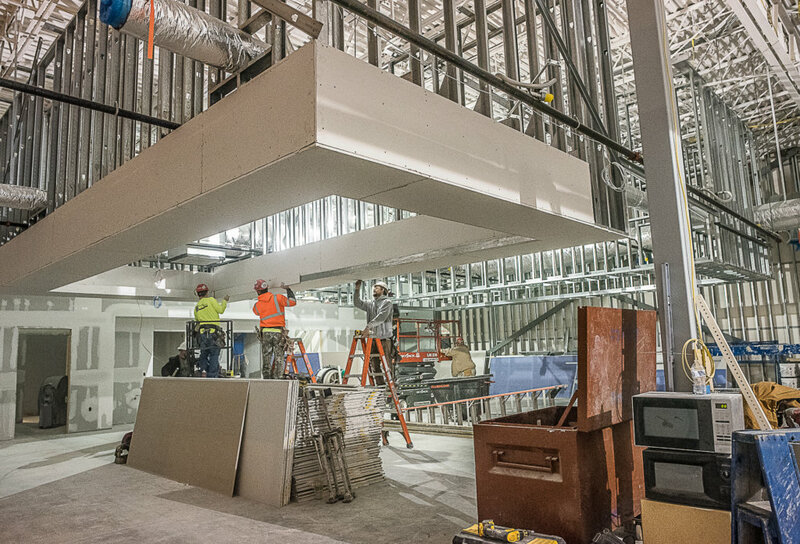 Shields will use about 6,200 square feet for its imaging center, which will include CT scans, mammography, ultrasound and echocardiograms. Portable MRI and PET-CT machines will be brought in every week. 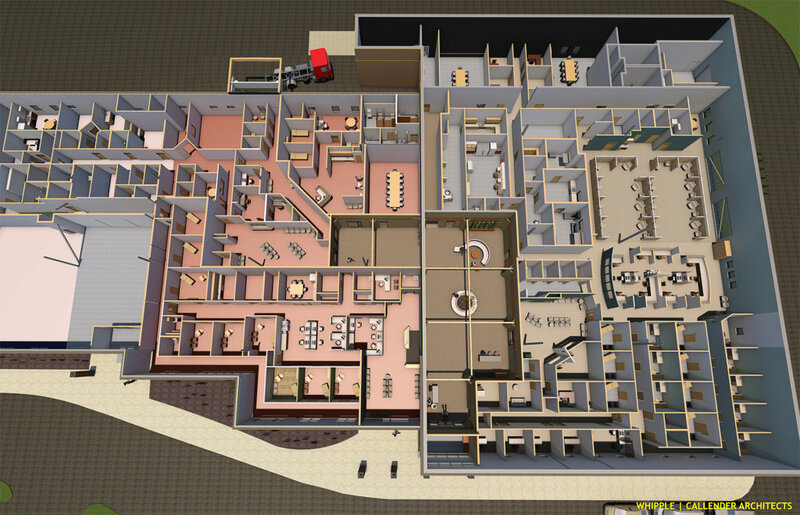 The specialty clinic space will take about 5,500 square feet. CMHC specialists, such as cardiologists, urologists and neurologists, will rotate through the clinic on a schedule. Mass General doctors will also see patients and help with diagnoses remotely. The partners see the multiuse facility as a way to draw more patients, keep up quality and reduce costs by providing treatment away from the more-expensive hospital. The Topsham Care Center will be CMCH’s first multiuse, outpatient facility, but not its last. Each location will offer different services. CMHC owns Central Maine Medical Center in Lewiston, Rumford Hospital, Bridgton Hospital and a number of medical practices around central Maine. Brickman said the health system has a “pretty ambitious agenda” over the next three to five years. “While we’re doing this, we’re also re-balancing all of our traditional facilities at Lewiston, Rumford and Bridgton,” he said. 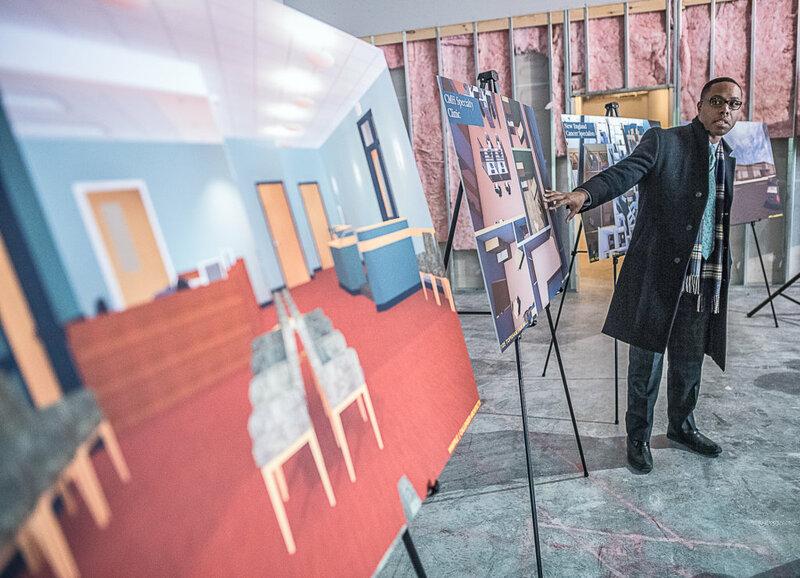 “We’re making major investments right now, and have, at the Lewiston campus to upgrade our physical plant, to reshape our nursing units, to expand the number of private rooms, to improve all of our aesthetics. So we have a lot of work to do. 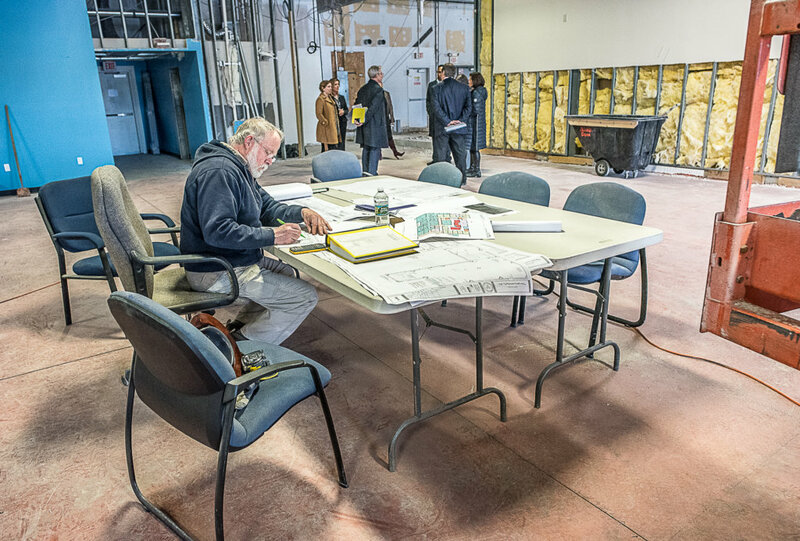 Allied Cook Construction’s David Harris, superintendent of the Topsham Care Center project, confirms the door schedules to make sure everything matches.